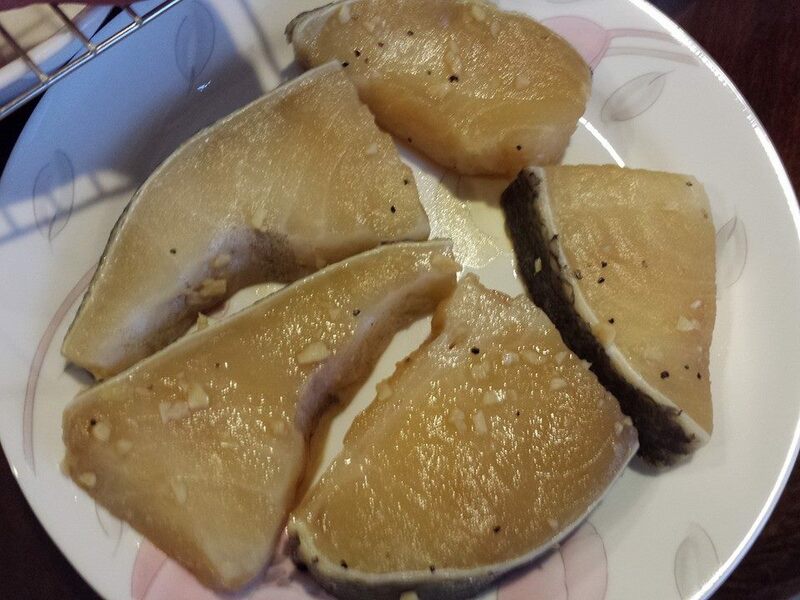 first attempt at teriyaki cod on 28.2.2014, practising for dinner for friends later. it was pretty good, good alternative to Nobu miso cod which i had been serving out in past dinners. i had very good teriyaki cod at keyaki & a bit more frequently at mikuni. actually bought some teriyaki sauce, but decided to do the sauce marinade as offered in several online recipes. 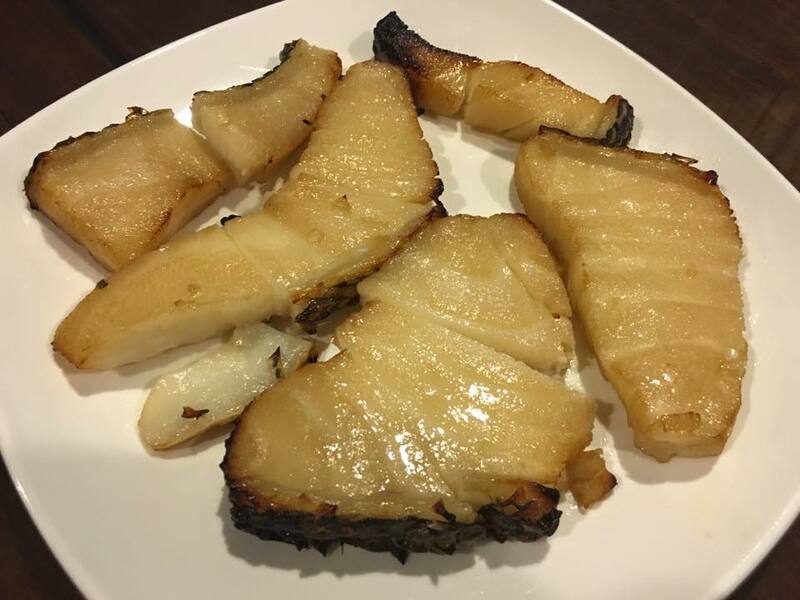 cod is really an excellent fish & just simple pan-grilled or barbeque or oven roasted would deliver a delightful dish, so i do simple pan-grilled also as alternative with miso cod. 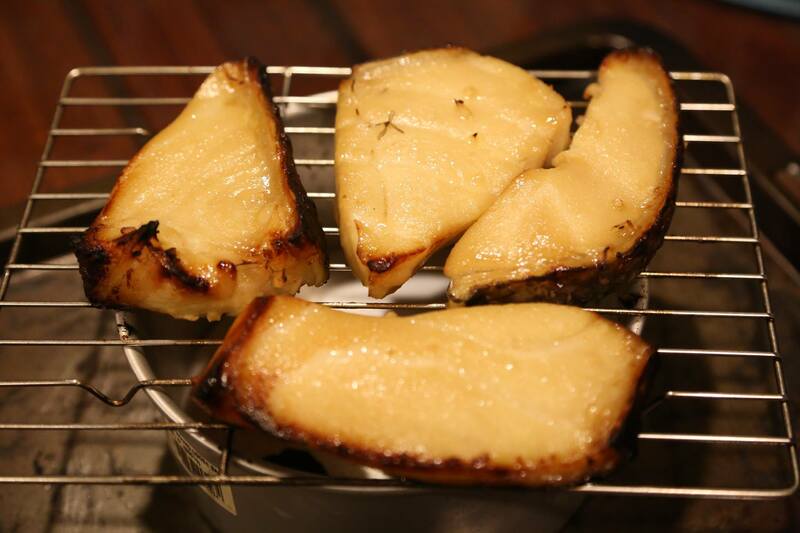 with this equally great recipe (thoguh i am still partial to miso cod), there is 1 more variation on offer. 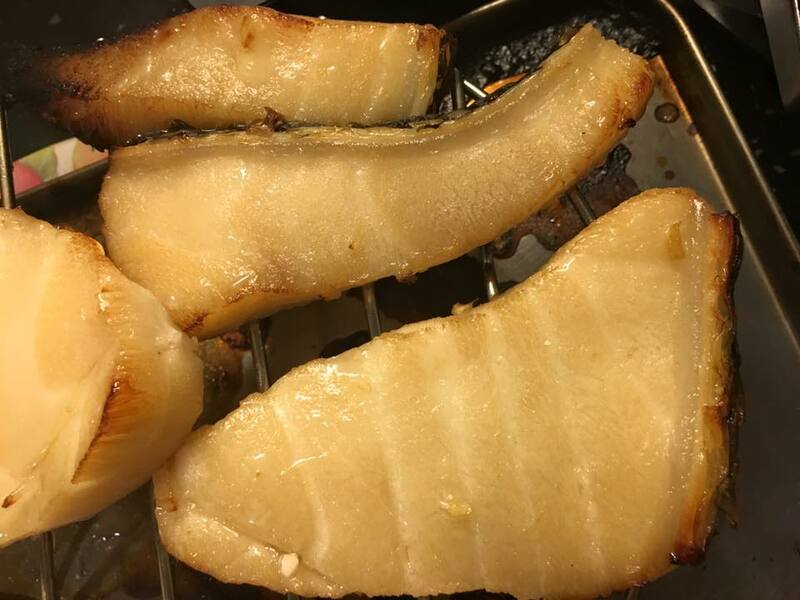 likewise in addition to pan-grilled, an oven roasted teriyaki cod (12mins in preheated 250degC oven) is equally wonderful. combine marinade in sauce pot & heat to dissolve the sugar. cool the marinade & place in a zip log bag together with the cod (cut 4 or 5 pieces) & press out the air. leave in chiller for between 2 and 3 days. take out cod 1 hr before cooking to get to room temperature. place on a high baking rack in a 250degC preheated oven for 12 mins (see top photo). 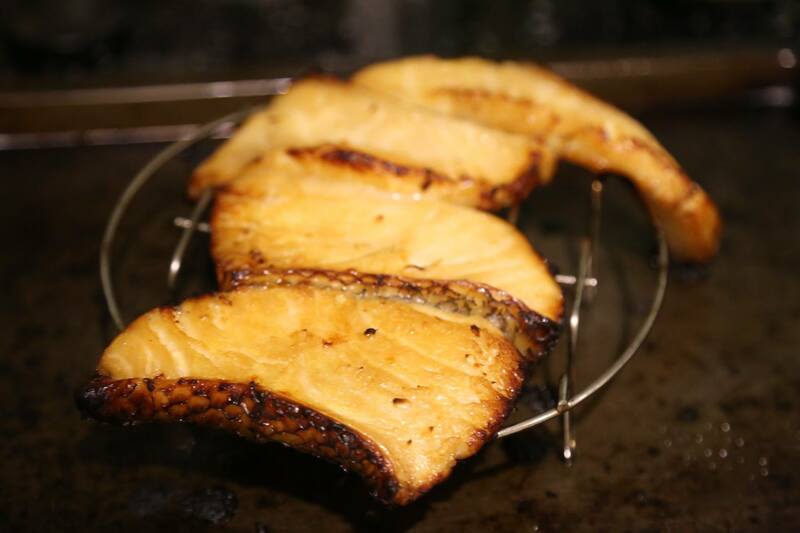 OR pan grill the cod over high heat in non stick pan with 1 tbsp oil. watch of colour change to opaque white on the sides (about 2 minutes) & turn over & sear for another few minutes. serve. 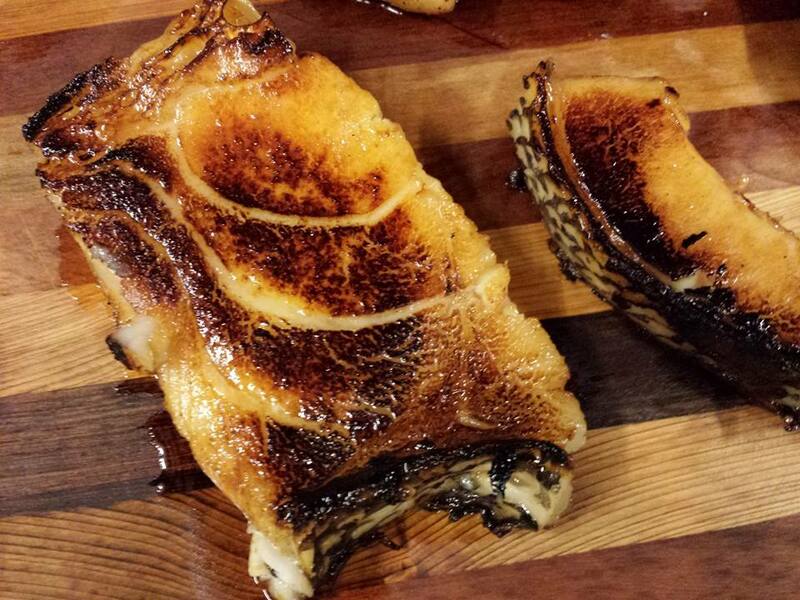 This entry was posted in Recipes and tagged IQF, keyaki, Mikuni, Nobu miso cod, teriyaki. Bookmark the permalink.